Unsupported devices include Apple’s latest Apple TV 3 but the team HAS confirmed that they will add support for Apple TV soon . Step 2: Back up are recommended so it is highly recommended that you connect your iOS device to computer and make a back up before you proceed. 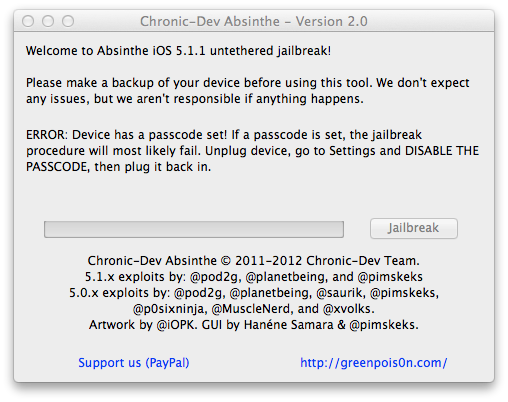 Step 3: Launch Absinthe v2.0.1 which you downloaded in Step 1. 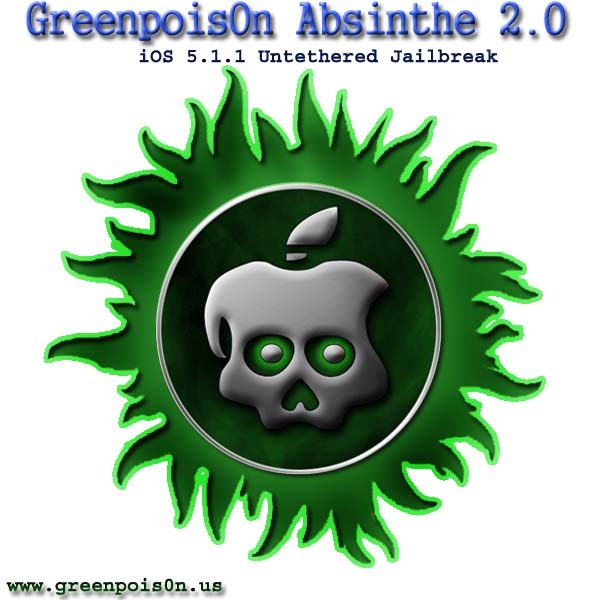 If everything goes well, you should now have an untethered jailbreak on your iPhone 4S, iPad 3 or any other iOS device you were jailbreaking. Remeber that this jailbreak only works with iOS 5.1.1, it won’t work with any other iOS firmware version.